My lips are always a little nuts in summer. Well, in winter, too. And, yeah, let's just go with Autumn and Spring, too. 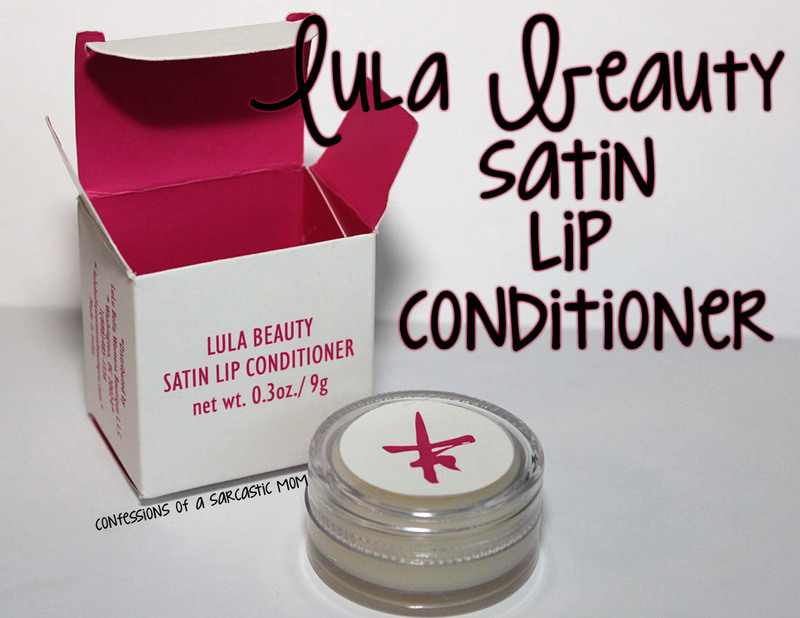 And just for this purpose, Lulu Bella Women's Boutique has created the LuLa Beauty Satin Lip Conditioner. I've been using it since I received it... and I'll say that it's NOT just for your lips! 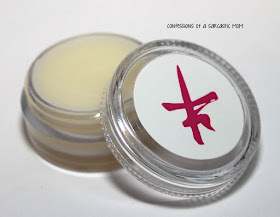 This non-greasy balm can use for your lips AND your cuticles. It's packed with ingredients such as Kokum Butter, which nurtures damage skin, improves barrier for natural hydration; GrapeFruit Seed Oil Extract, a natural antioxidant that contains high contents of vitamins C & E; Jojoba Oil, a natural emollient that penetrates skin and is GREAT for nails; Lanolin, known to rejuvenate dry skin and locks in moisture; and Vitamin E Oil, which helps heal dry skin. The scent is said to be Jasmine Pineapple, and I'll tell you it's not a strong scent. Don't get me wrong, you definitely can tell there's a scent, but it's not bad. I've used this on both my lips and cuticles for a week now, and I've been loving it. My lips are softer, my cuticles and nails love it (I'm guessing it's the jojoba oil), and it doesn't take much to get the job done! Below, the amount that's on the top of my finger (can you even see it? haha) is more than enough for all five fingers on one hand. This little container will last a long time! You can find this product on the website, here. Price is $24, which may seem steep, but it is a luxury product with amazing ingredients. It's going to last a while, too, as I can attest I've been using it on both my lips and cuticles every night for a week and it doesn't even look like I've touched it!